ISRO launched its 100th satellite in space on January 12, 2018 as its Polar Satellite Launch Vehicle (PSLV-C40) successfully placed 31 satellites in two different orbits in one of the longest missions. Through this launch, which was the 40th successful launch of the PSLV, ISRO also validated the multiple-burn technology it had tested in three previous launches. The launch placed 31 satellites in orbit, including Cartosat-2 Series, Microsat, 28 nano-satellites of foreign countries (US, France, Finland, UK, South Korea and Canada) and one indigenous nano-satellite. 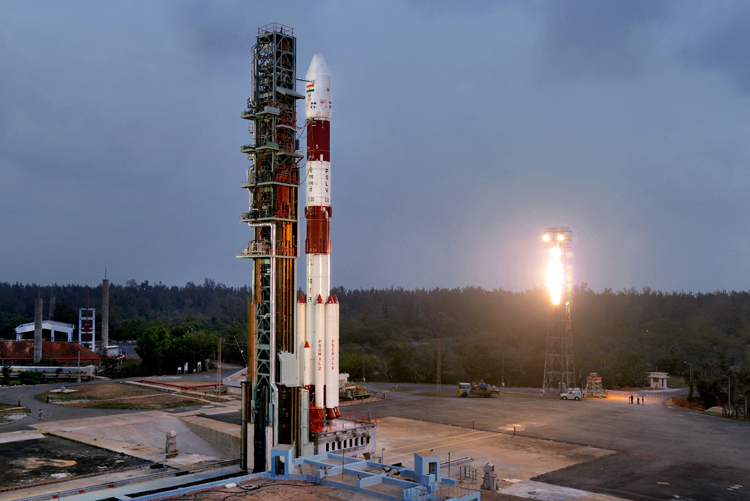 The launch was made from the Satish Dhawan Space Centre in Sriharikota. Some 17 minutes after liftoff, the rocket injected the main payload of Cartosat-2 series weighing 710 kg (seventh satellite in the series) into a polar sun synchronous orbit at an altitude of about 510 km. The then rocket ejected 29 satellites as it maneuvered its way up the altitude to 519 km within a span of about seven minutes. After ejection of the 30th satellite, the fourth stage earth storable liquid engine was restarted for the first time 30 minutes later and was shut off within five seconds. The rocket coasted around for 45 minutes moving from 505 km to 359 km altitude before the engine was restarted again for the second time for another five seconds. Thereafter around one minute and 45 minutes later, the rocket ejected the 31st satellite (ISRO's Microsat) in the second orbit at an altitude of 359 km. 15 minutes later the engine was again ignited for the last time and shut off after 13 seconds. Cartosat-2 has started beaming images back home shortly after being placed in orbit. It may be recalled that ISRO's PSLV-C39 launch on August 31, 2017 had failed after the heat shield, the tip of the rocket, did not open as programmed. The satellite separated from the rocket circling in space within the closed heat shield. ISRO examined what had happened and four months later undertook this successful launch of the PSLV-C40 mission that earned it the centurion leap. It demonstrated technological strength that India has acquired in space exploration and other technologies developed in-house. ISRO is successfully fulfilling Prime Minister Modi's vision of projecting India as a global low-cost service provider in space. ISRO has a budget of about $4 billion and the recent successful launches will improve its prospects of winning a larger share of the more than $300 billion global space industry. It may be recalled that in February 2017, ISRO successfully launched 104 satellites in a single mission, most of them for foreign customers. It was quite amusing to see the Pakistani Foreign Office expressing concern over India sending multiple satellites into space, alleging these were for 'spying' purposes, suggesting that the satellites have been fitted with spying devices. Pakistan also stated India should refrain from military use of space technology and such measures that could disrupt the balance of power in the region. Pakistan would be well aware of the Chinese capabilities in space including its militarization, considering the event on August 12, 2015 when China's Tianjin Port was struck by a space-based kinetic weapon that instantly destroyed six city blocks on the edge of the city of Tianjin. The Cartosat-2 Series satellite will provide regular remote sensing services using its panchromatic and multispectral cameras. 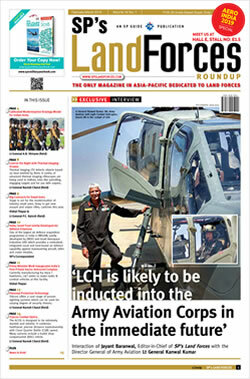 The images sent by the satellite will be useful for cartographic applications, urban and rural applications, coastal land use and regulation, utility management like road network monitoring, water distribution, creation of land use maps, change detection to bring out geographical and man-made features and various other land information system (LIS) as well as geographical information system (GIS). No doubt the latest satellites will assist in better border surveillance, monitoring troop movements and obtaining high resolution images of the earth for tasks like tracking own infrastructure projects. ISRO is working on a project to increase capability of its first launch pad to 15 launches a year. Future launches include the Chandrayaan-2, GSLV MKIII and GSLV MKII. Three consecutive launches are planned from second launch pad in addition to those in the first launch pad. The construction of the second assembly centre is in its final phase of completion. ISRO will continue to make India proud.